Envoyer une demande de disponibilité comprenant vos dates de voyage à The May Fair Hotel, Mayfair. Few luxury hotel rooms in London can match the fine detail of a May Fair Superior bedroom. Each room features deeply textured fabrics, Vi-Spring mattress, goosedown pillows and duvet, Catalan-designed furniture, Samsung Smart TVs and a beautiful Sicilian marble bathroom complete with power shower. Executive King rooms offer a little more space to unwind, with a king bed and spacious seating area. Each room features crisp linen and Vispring mattresses, free high speed WiFi, Samsung Smart TVs and international phone sockets. Our beautiful luxury Studio suites offer all the key features of the superior and deluxe bedrooms, with open plan lounges, Vi-Spring mattresses and much more. 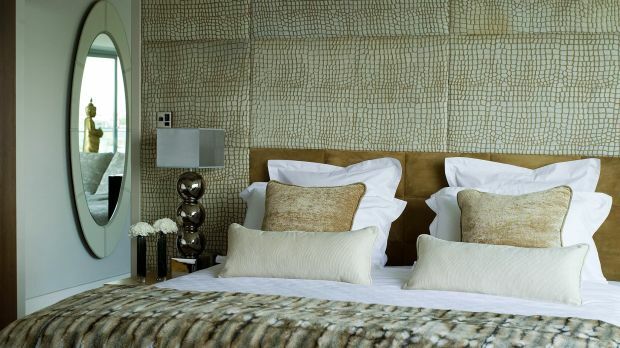 The May Fair's Studio suites are among the most exclusive and sought-after of London hotel rooms. Each has luxury furnishings and fabrics, and a beautifully appointed Sicilian marble bathroom. Selected studio suites have walk-in wardrobes. All come with a Nespresso coffee machine and £15 daily credit to put towards food, beverages and spa. The May Fair Hotel luxury Family bedrooms have 2 Queen beds with Vi-Spring mattresses, Sicilian marble bathrooms and separate power showers. Our Family rooms can sleep up to 4 adults and some rooms have 2 bathrooms. Our luxurious, well appointed Junior Suites are designed to evoke a warm and welcoming feel. The Junior Suites bring The May Fair's balance of sophisticated elegance and attentive service to more conventional 5-star hotel rooms. They have a spacious bedroom and living area with the latest technology, luxury marble bathrooms and walk-in showers. Guests are entitled to complimentary use of the wet and dry areas of May Fair Spa. The May Fair's three Duplex Suites weave a sense of space and drama from their innovative layouts. Ermine, Pewter and Bamboo are each infused with their own unique interpretation of split level style. The flexibility of the three 5-star rooms ensures different moods and media requirements can be handled simultaneously. 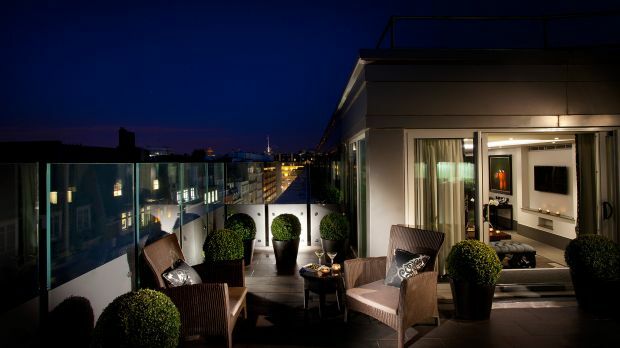 There can be few more exclusive settings for entertaining than a luxury 5-star hotel room. The Duplex Suites' combination of innovative design and intimate luxury provide an ideal setting for private parties or interviews. Amongst the largest hotel suites in London, the May Fair one bedroom suites offer bold design and distinctive style that truly reflects the hotel's glamorous heritage. 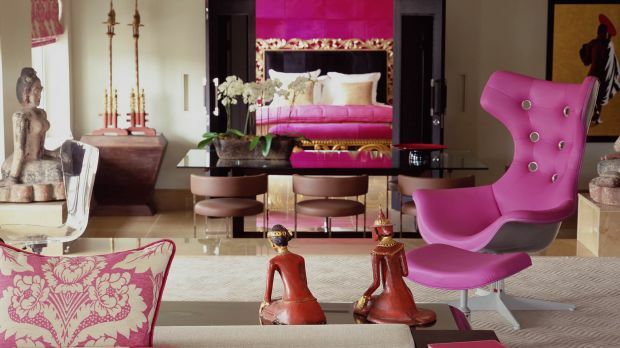 Each room unique, these stunning spaces redefine modern luxury with playful panache. The private terrace offers panoramic views on the city, and is adjacent to the lounge area making it ideal for entertaining. With futuristic facilities in the Toto designer bathroom, the spacious shower room is eclipsed by an oversized statement bathtub, elegantly positioned on a raised platform in the master bedroom. The Two Bedroom Suites feature beautiful bedrooms, elegant dining areas and breath-taking bathrooms. Vast, light-filled spaces provide an instant wow-factor as you experience the last word in contemporary comfort, poised above the streets of Mayfair. Features include 2 King beds, Wi-Fi Internet, Samsung Smart TVs & satellite channels in the lounge, bedrooms and bathrooms, separate bedrooms, spacious lounge area, private kitchen, 2 large bathrooms with bathtubs, walk-in showers, double sinks, work desk with dashboard of international phone and plug sockets, tea and coffee making facilities, fresh flowers, in-room laptop safe, air conditioning, Nespresso machine, butler service.